Middleweight contender Gary ‘Spike’ O’Sullivan 28-2 (20) is looking forward to impressing the crowd this weekend when he takes on Canadian knockout artist David Lemieux 39-4 (33) on the undercard of the middleweight title fight between Gennady Golovkin and Saul ‘Canelo’ Alvarez at the T-Mobile Arena in Las Vegas, Nevada this Saturday night. The 34-year-old Irishman, who has fought 12 of his 30 pro bouts in the United States, believes the fight could steal the show. O’Sullivan says he is the better all-round boxer in this contest that pits two heavy-handed, aggressive fighters against one another. “It’s never good to give away the plan, but I believe I’m the better, more skilled fighter in all departments. 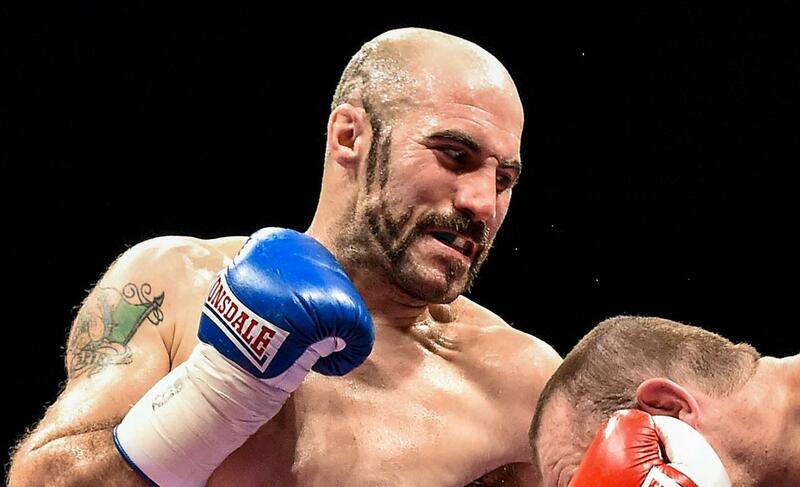 We both hit very hard, but I have the better defence and boxing ability,” said O’Sullivan. The Cork-born fighter has backed himself throughout his career, including fighting for nothing in many of his early bouts. “Many of my fights both here and Ireland, I fought for free,” O’Sullivan said. “I know a fighter has to build a fan base, and being unknown in the US, I believed if I could just get the opportunity to show my skills and let the fans get to know me, I’d become popular in Boston in spite of not being local.